For small to medium-sized dealerships, the prevailing market conditions in the material handling industry threaten to fundamentally change their day-to-day operations. The prospect of territorial restructuring looms as corporate mergers redefine the industry and areas of prime responsibility. Coupled with this uncertainty are inflexible dealership contracts, which provide little relief against economic instability or declining demand. For forklift dealerships caught up in the margins of such changes, it’s becoming clear that they will no longer receive the support they need to thrive moving forward. At this point, some readers may think the circumstances described above are far closer to dystopian fiction than they are to day-to-day reality. But, the unfortunate fact of the matter is, such circumstances are far too familiar for many dealerships. 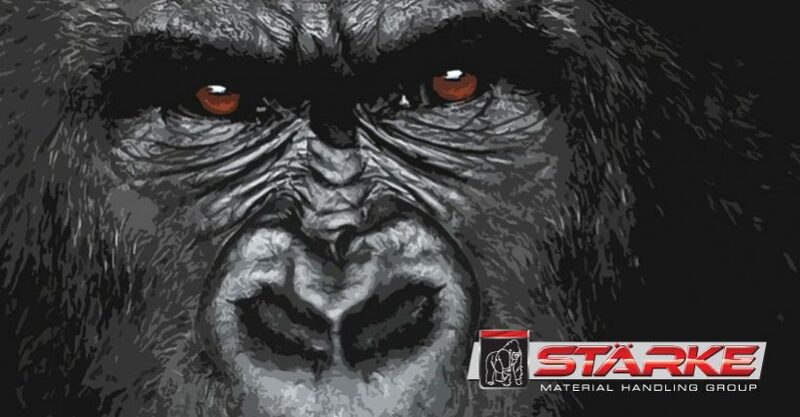 For those who have grown tired of the status quo and agree “that it makes sense to expect peace of mind at a fair price,” perhaps it’s time to consider a different breed of manufacturer – Stärke Material Handling Group. Our pitch to dealers begins with our full line of forklifts and material handling equipment including ICE and electric forklifts, pallet trucks, straddle stackers, reach trucks, order pickersand electric utility vehicles but we offer much more to our dealers than quality equipment. At Stärke, our entire business model is built upon the quality of our equipment and the support we provide to our integrated network of small to medium-sized dealerships. We prefer a cooperative approach to dealership development and recognize that our success is predicated upon the success of our dealers. Rather than a legally binding contract filled with unrealistic quotas or stock commitments, Stärke dealers enter an agreement, where we acknowledge the importance of our commitments and how those commitments should shape our goals moving forward. To further our shared objectives, Stärke is committed to providing fast and responsive support for all of our dealers, whether it is related technical issues, sales inquiries or marketing. Our streamlined technical support network helps to minimize response times on warranty claims and parts requests, while our dedicated marketing department works directly with our dealers to bolster their local marketing efforts. And, unlike many other off-shore manufacturers, Stärke advertises to both dealers and end-users alike. Our plan for growth and development continues to impress industry experts as we continue to receive recognition within the industry. Our rapid growth earned us a place on Profit 500’s list of the fastest growing companies in Canada in both 2015 and 2016. Meanwhile, our innovative electric equipment earned us a spot on Food Logistics Top Green Providers list in 2016. As our motto says: Stärke is Strength. This isn’t just a tagline, it perfectly describes how the Stärke brand performs in product design, customer service and value. It demonstrates our commitment to our dealers, customers, and our products. Stärke offers one of the largest selections of material handling equipment in the industry including class I through VI products making our dealers instantly competitive on every deal that they are in. Because, it makes sense to expect peace of mind at a fair price! For further information about the dealership opportunities in Canada, the U.S., Mexico and the Caribbean, please visit our website or contact Justin Engel at 1-877-435-4352, ext. 230. Justin Engel is the marketing specialist at Stärke Material Handling Group. In addition to content development, he also handles graphic and website design, SEO, PR and strategic planning. Embrace the Stärke difference – we’re a different breed of manufacturer in everything from our approach to customer/dealer support to product development.